Below is a briefing issued by the Transport & Environment Convener (Cllr Lesley Macinnes, SNP councillor for Liberton Gilmerton) which expands on a comment she made on Twitter last week. As you will be only too aware, there have been considerable difficulties in the delivery of our waste services to Edinburgh residents, compounded recently by additional pressure from this year’s festive period. I have made it absolutely clear to senior officers that this situation has been completely unacceptable and that immediate further action must be taken to rectify the situation. Edinburgh residents have the right to expect reliable levels of service and to receive a swift response when they have cause to get in touch with the Council. Reviewing our processes to ensure missed collection reports from residents are actioned within target timescales – currently two working days but I have asked officers to investigate the potential for reducing this timescale. A realignment of resource that will allow the service to catch up on delayed collections on the scheduled day of collection or the day after – this is already in place on an interim basis but we will look to make it more permanent to improve the resilience of the service. An interim review of communal recycling routes to improve reliability and performance pending completion of the wider communal redesign project. Undertaking a lessons-learned review of festive collections in 2018 and providing me with a clear plan for 2019 that avoids the issues we have experienced recently. A review of the services which we offer during the festive period and the bench-marking of these services against other local authorities. A timeline showing the remaining actions required to open our new waste transfer stations to support service delivery. Following robust discussions with senior officials I have made it clear that these actions must be implemented effectively and produce significant improvements in service delivery. In addition, I have requested that two key reports emerge from this unsatisfactory period. They will examine both the lessons learned from the changes to service delivery and from the festive period. You will, of course, be interested to know what the current position is. The backlog across the city has now mainly been dealt with, although there will be a few pockets of remedial work to undertake, and the service has gone into this week fully on schedule. There will, of course, still be some further issues, such as Christmas tree stragglers, with which to contend in the coming weeks. As a result of the actions described above and a sustained effort within the service, the weekly waste missed bin requests have shown a significant drop of over 45% in the last week. They have returned to levels below the 2016 figures for the same week (1,972 during the last week). We have also seen a further improvement in numbers over the last weekend, as missed bin complaints have been dealt with. This is clearly a position which must be maintained and, indeed, further improved and I have insisted on extremely close monitoring of progress as we move through the next few weeks. I am, of course, very aware of the pressures that this situation has produced for councillors in handling residents’ entirely justified complaints and concerns. If you continue to feel that there are further issues which should be addressed please feel free to bring them to my attention as well as to that of the service. 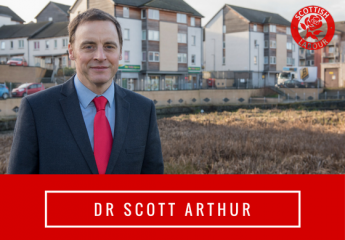 The most important task to emerge from this situation is rebuilding the trust of Edinburgh residents in their waste collection service and this will only be achieved by sustained excellence within day-to-day operations. This is a point I have made clearly and forcefully to senior officers and which I expect to be front and centre of everyone’s minds as we move forward. The agreed change to a four day collection system was precisely to build in greater reliability for residents, with regular crews familiar with specific routes and a faster resolution of issues. We now need to see that develop over the next few months to a position where residents can feel much more certain that the council is delivering a complex waste collection system effectively. Alongside this effort within service delivery, there are several key strategic developments due to be delivered or progressed through 2019 and I have invited members of the Transport and Environment committee to undertake an informative tour of various relevant projects and sites next week.